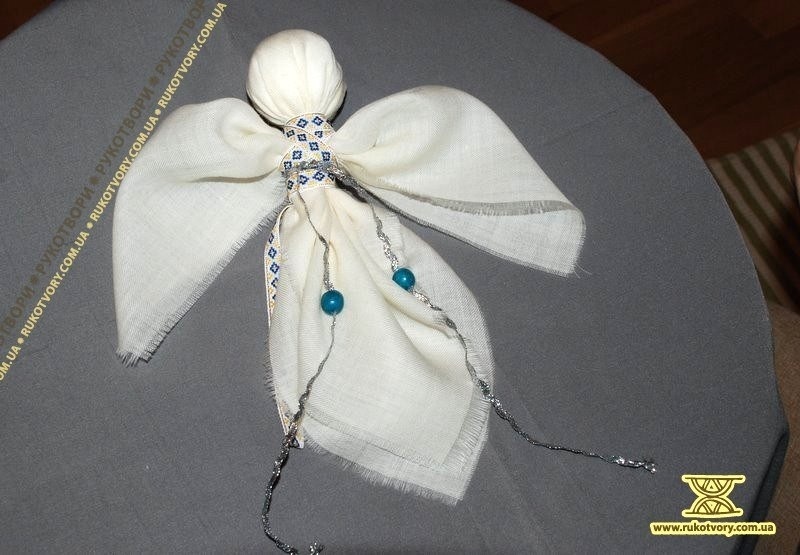 Each person has a guardian angel. 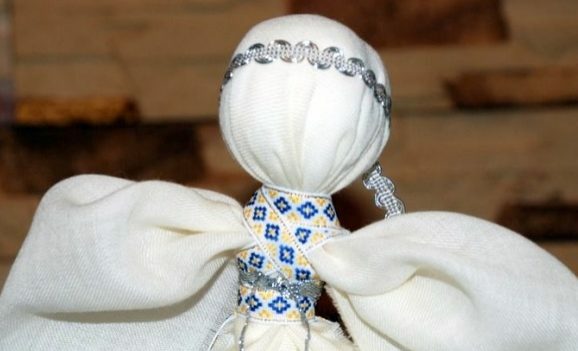 If a child smiles when sleeping they say it’s because the angel is looking at him or her. 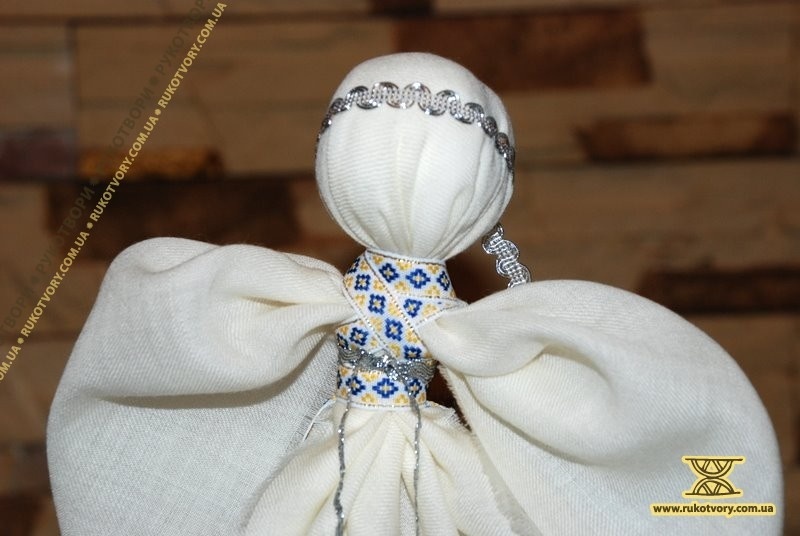 It’s these supernatural beings who informed the shepherds about the birth of Jesus Christ. 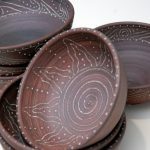 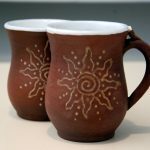 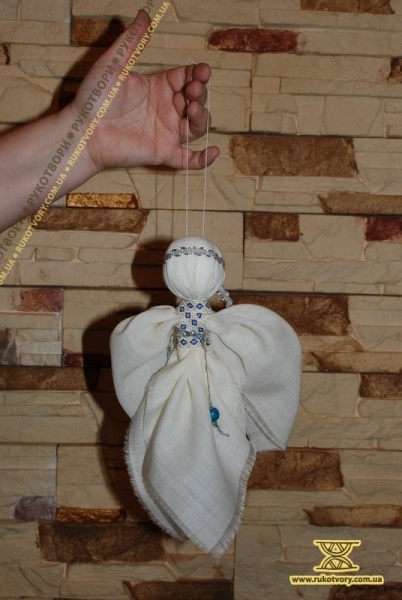 We know a lot of similar records and mentions of these God’s messengers but does anyone know for sure what they look like? 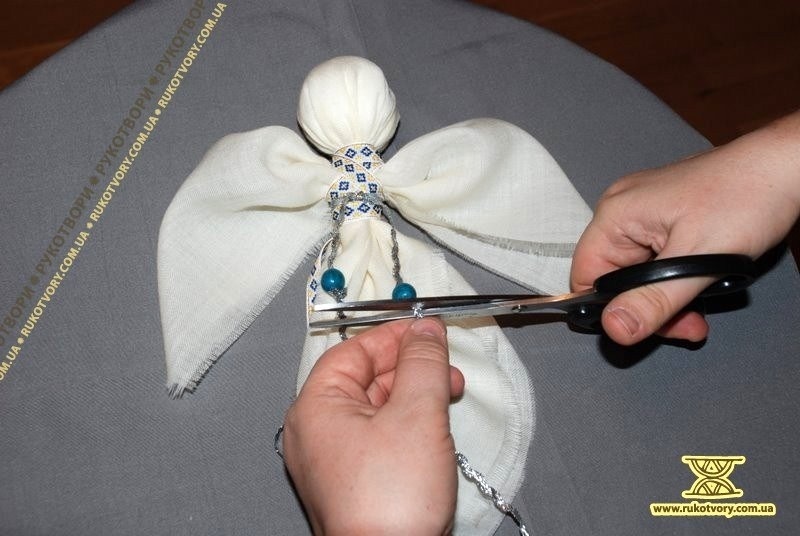 Iryna Sulikovska, a master from Kyiv, tried to make a guess and she showed us how to create a toy Christmas angel from a piece of fabric. 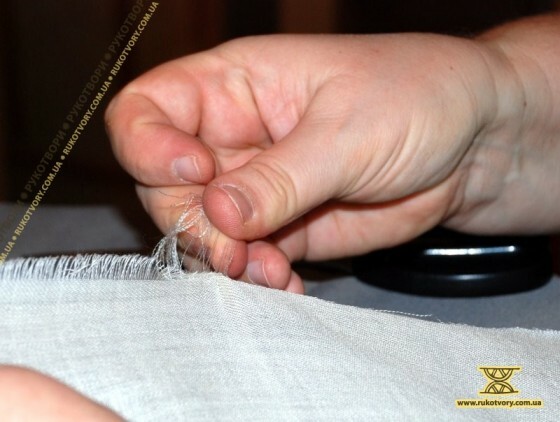 Begin with making fringe on the sides of the chosen fabric: pull out unnecessary threads to give a neat appearance to the fabric. 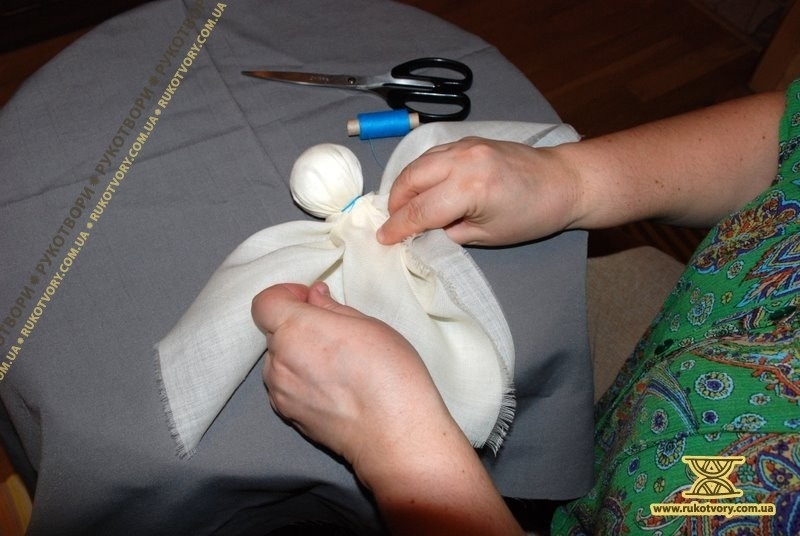 Make a tight roll or a spiral from a piece of cotton wool and put it into a round shape. 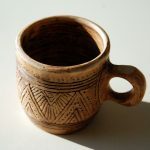 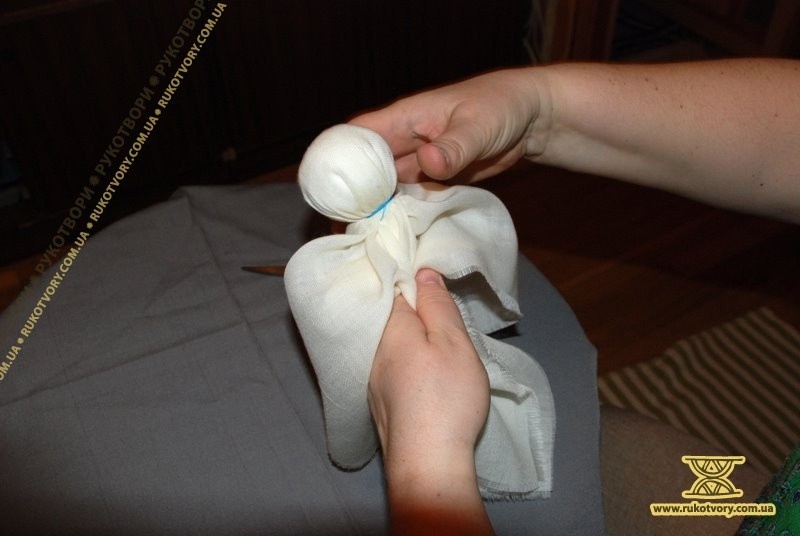 This will serve as the basis for the head. 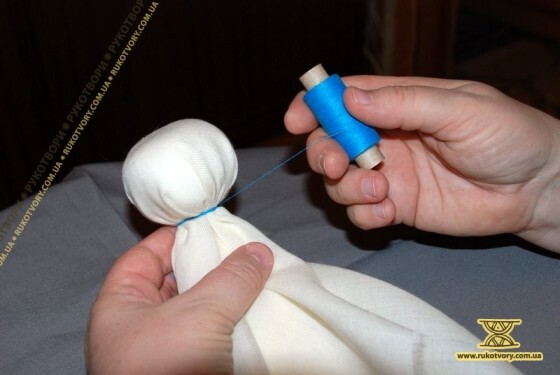 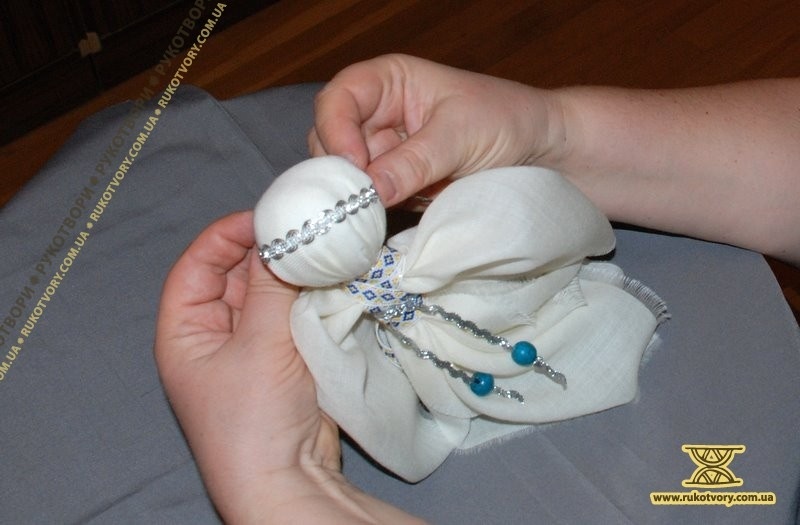 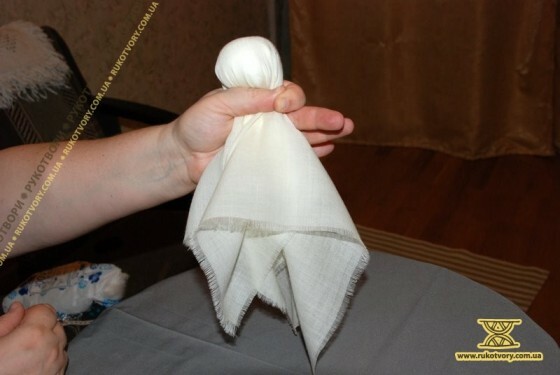 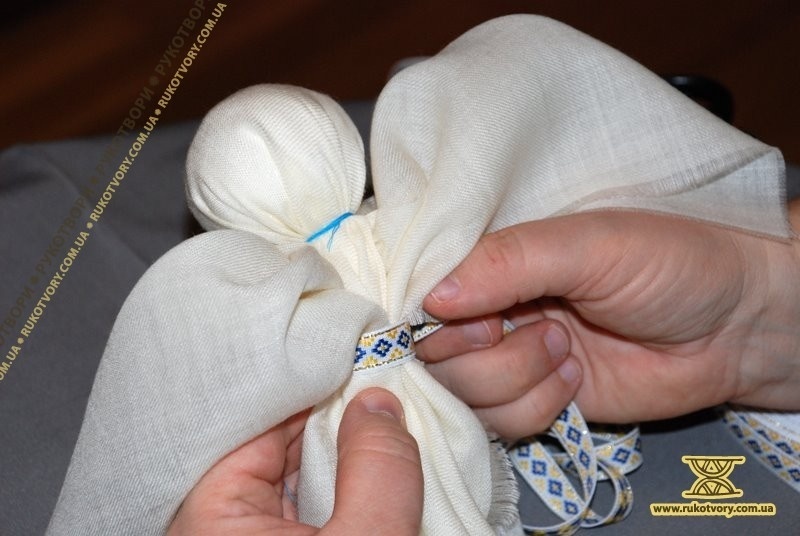 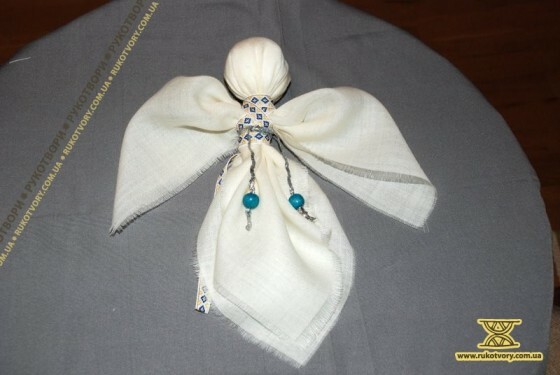 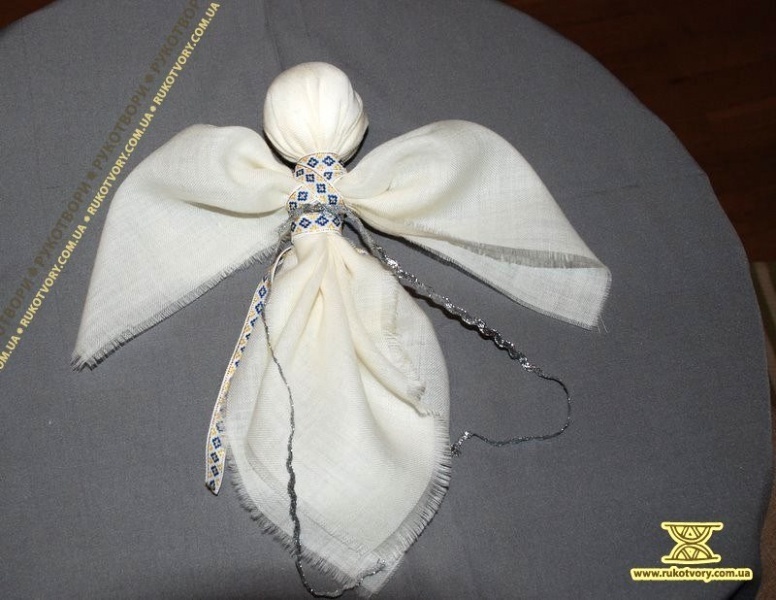 Put the cotton wool in the middle of the fabric, fold the fabric up and tie it with a thread (as shown in the pictures). 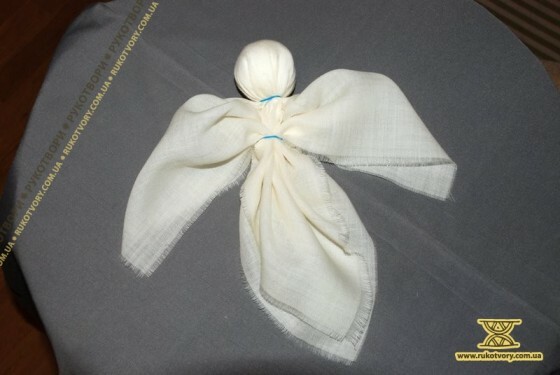 Find the two edges which will serve as wings and straighten them as shown below. 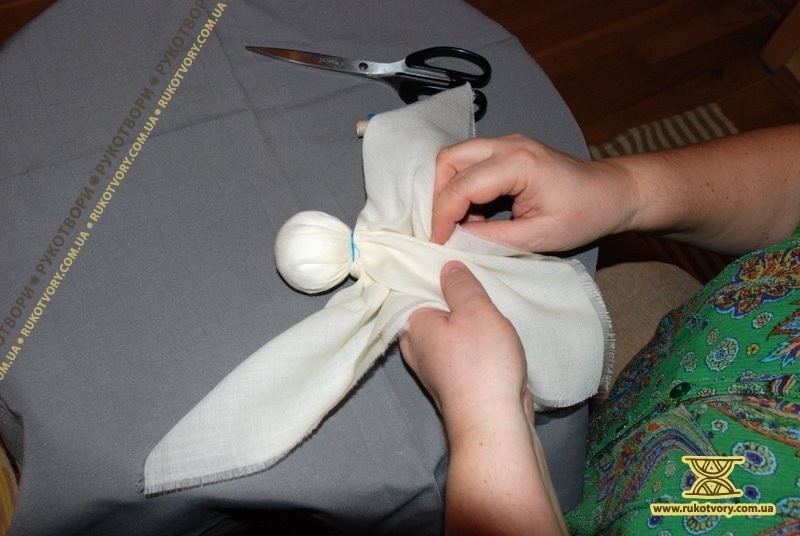 Lift the wings and define the angel’s belt area. 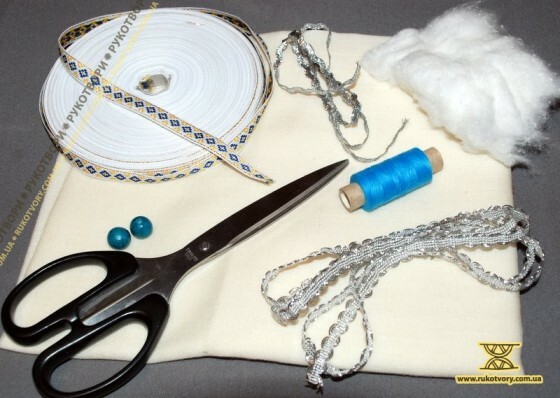 Fix it with a thread. 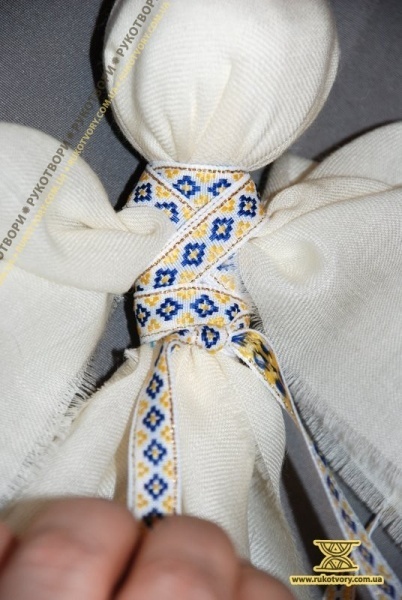 Then, put your band or lace over the belt and turn it around the doll several times. 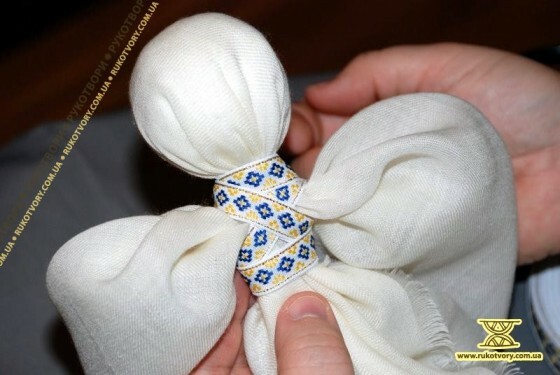 The appearance of the toy will depend on how tight the belt is tied on its waist. 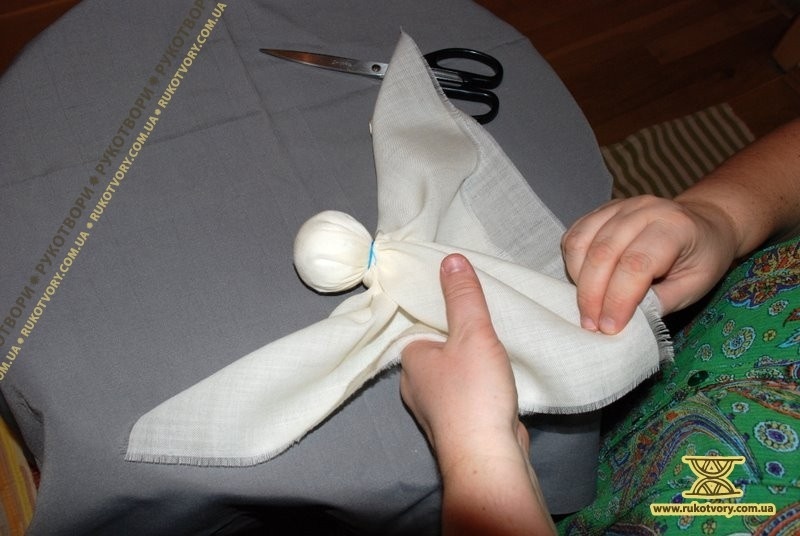 Wind the lace behind the angel’s shoulders and around the neck. 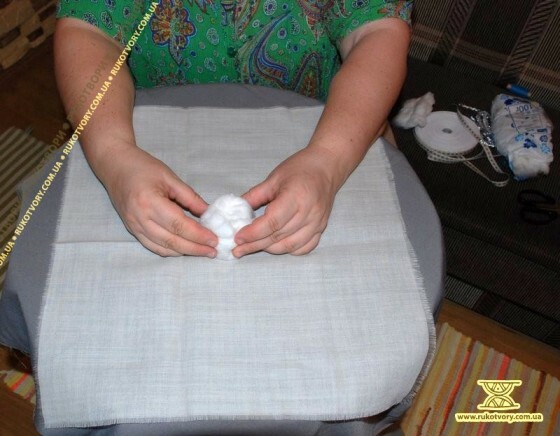 Lay it in the shape of a cross on its chest (see the pictures). 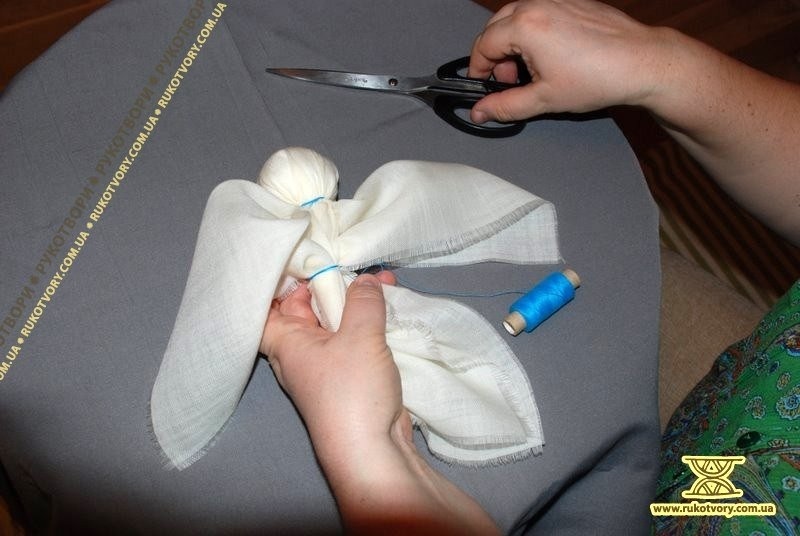 Tie the ends of the lace from behind and cut off excessive parts if any. 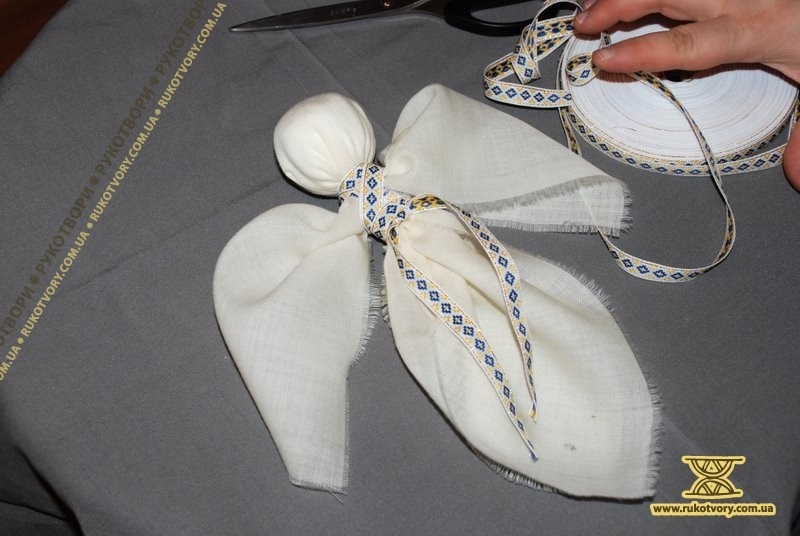 Decorate the angel. 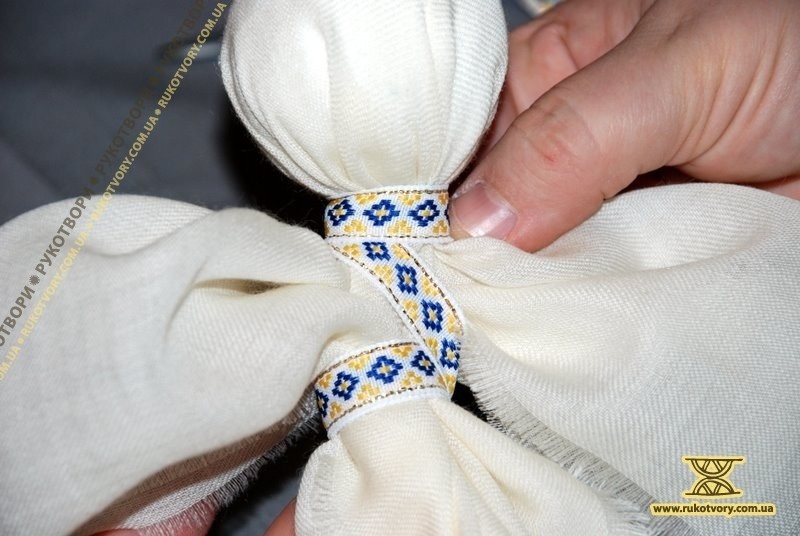 Tie a silver band around its waist and thread it with two beads. 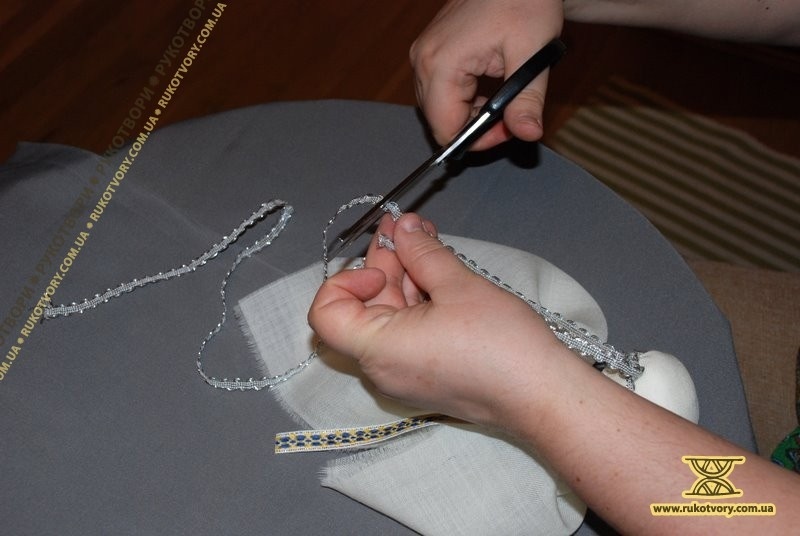 Make a head band from the silver lace, too. 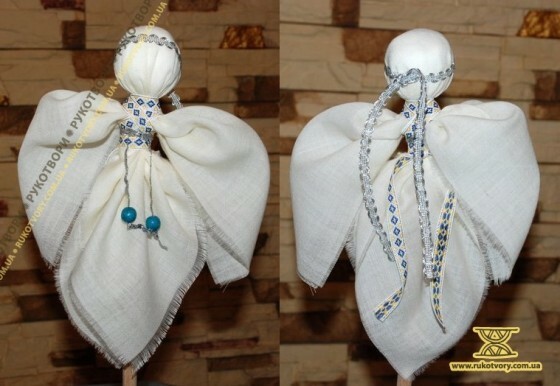 Such Christmas angel can serve either as a decoration of your interior or as a toy for small children.